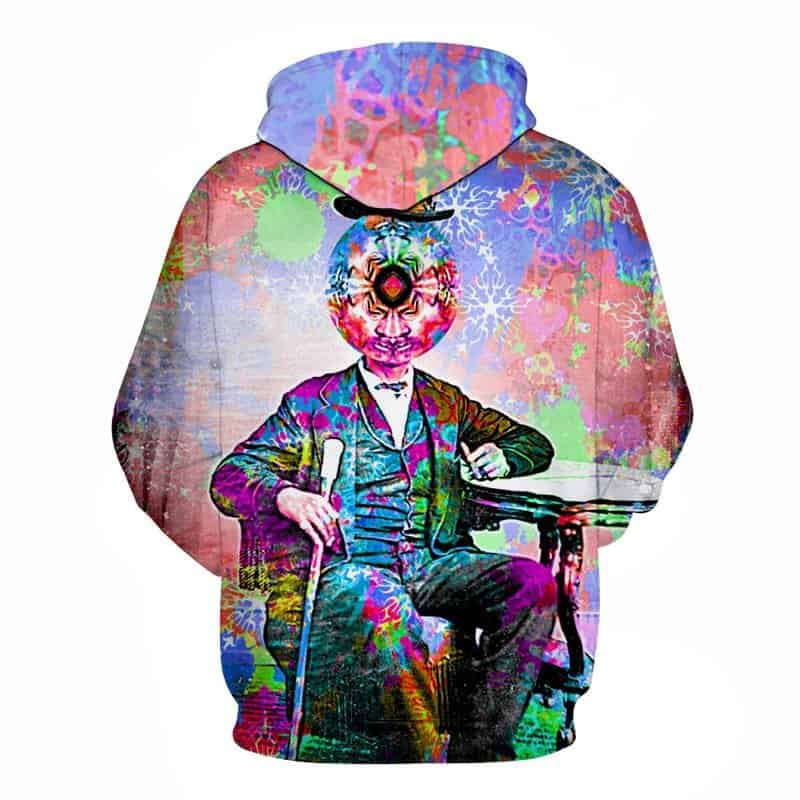 An edgy psychedelic experience hoodie. 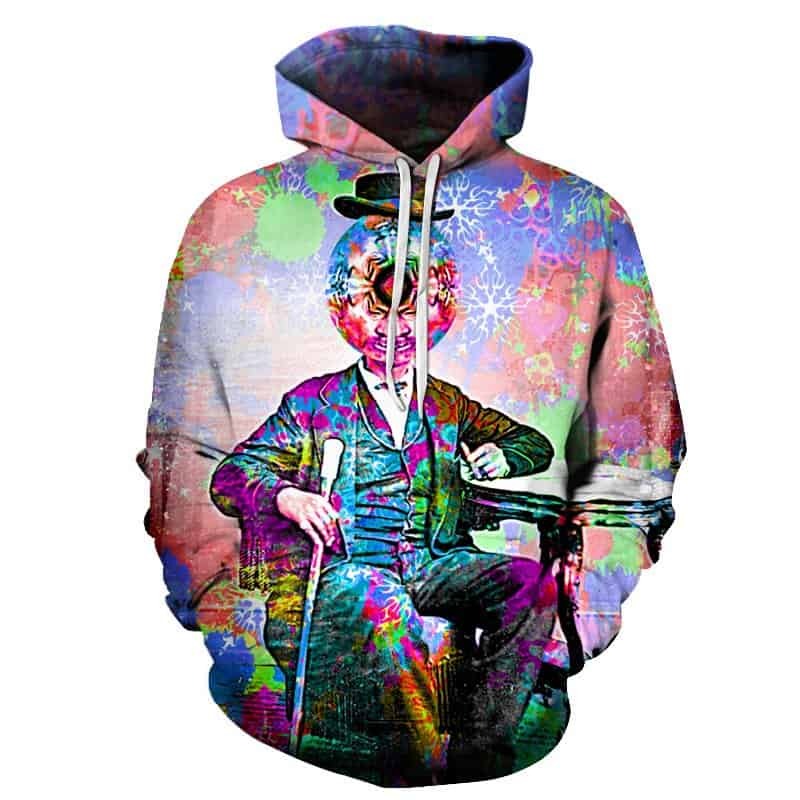 This hoodie features a man dressed in vintage clothing surrounded by trippy colors and patterns. His face is also not visible, as there is a trippy pattern covering it. The hoodie is comfortable to wear, looks fashionable and is wearable anywhere. It was designed for both male and female.